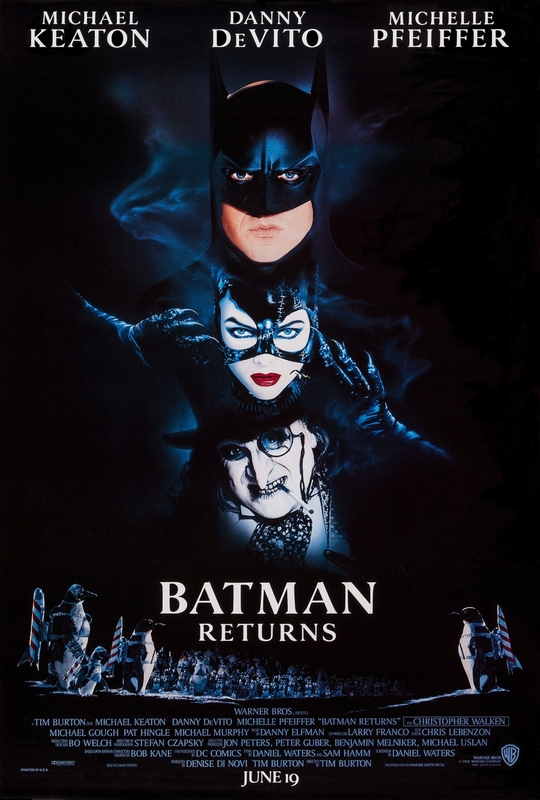 Batman Returns is often very cheesy and definitely feels like it didn’t even try to be that serious anymore, making it a lot more consistent in tone compared to Burton’s first Batman film. Unfortunately that meant that the film is also more sexist than the first. But there are two things that absolutely stand out about the movie: the first is Pfeiffer’s absolutely wonderful Catwoman. Her performance is electric and I really liked that take on Catwoman herself: her sense of humor (if at times as cheesy as the rest of the film), her confidence and her playing with Batman were all very well-handled. She could have been a little less sexualized, though. I also liked DeVito’s Penguin, but I didn’t feel like he was necessary in the film – I would have rather spent more time with Catwoman instead. The second thing that was really mindblowingly good were the sets. They looked like if Leni Riefenstahl had made Metropolis, all dark angles and sharp lines (and without the Nazi part). The only drawback there was that they felt too small: not like Gotham City was a big, bustling city but rather like it was a village. The sets demanded a bigger scale. It was great to see the film again and appreciate Catwoman and the sets much more than I ever did before (although I always loved Catwoman). The film certainly holds a big place in my heart. Summarizing: very much worth it. 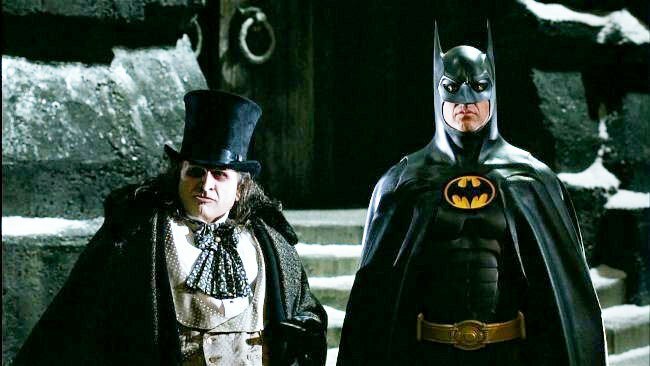 This entry was posted in movies and tagged 1992, Batman, Batman Returns, Bill Finger, Bob Kane, Christopher Walken, Daniel Waters, Danny DeVito, Michael Gough, Michael Keaton, Michelle Pfeiffer, Pat Hingle, Re-Watch, Tim Burton by kalafudra. Bookmark the permalink.